A Goodman & Son purchases all grades of recyclable metal and we have the expertise to ensure you receive the best possible price and service. A Goodman & Son are licensed to accept end-of-life vehicles, call for a competitive quote. J E Goodman Ltd is our waste skip hire division. We offer a fast, competitive and reliable service, please call for a quote. We operate a fully accredited and calibrated 50 tonne weighbridge, available for public weighings. Call to book an appointment. A Goodman & Son and J E Goodman Ltd will be closed for Christmas from 12 noon on Christmas Eve and will re-open at 8am on 2nd January 2019. A Goodman & Son is a long-established, well-respected, family-run business specialising in the recycling of all scrap metal. For over 50 years we have operated a family-run scrap metal recycling service from our fully licensed facility in Travistock Street. 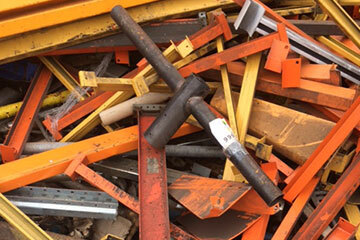 Over this time we have gained knowledge in all aspects of scrap metal recycling, enabling us to offer a professional, efficient and prompt service to all our customers, whether large commercial businesses or small deliveries. We have access to UK and worldwide export markets that help us achieve competitive rates of pay for all grades of ferrous and non ferrous metals. Please call or email for a quote. With our fleet of 32-tonne roll-on-off and 26-tonne skip vehicles, we are best placed to provide a reliable collection service for all your metal recycling requirements. Whether small 1-cubic-yard stillage collections or up to 40-cubic-yard roll-on-off containers for large industrial arisings, we have the expertise to tailor a collection schedule to suit your company’s requirements as well as receiving the best possible return. We are closed for Christmas from 12 noon on Christmas Eve and will re-open at 8am on 2nd January 2019. ​AGS deal with a number of precious and semi-precious metal refiners and are well placed to offer a service for all grades of Gold, Silver, Platinum and many more. 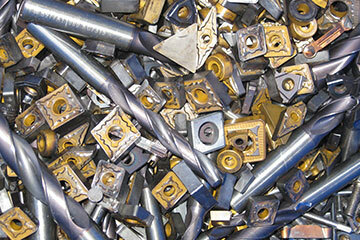 ​​Including Nickel Alloys, Tungsten Carbide, Tungsten Tips & Drills, Tin/Lead Solder and Printed Circuit Boards (PCB’s). 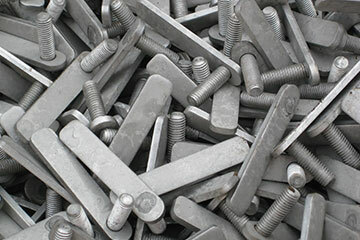 ​Including Light Iron, Shearing Steel, No.1 Steel, No.2 Steel, Engines (Car and HGV), Cylinder Cast (9D), Steel Turnings (7A/7B), New Production Cuttings (8A/8B), Heavy Steel (OA/No.1/12A/12C) & ELV’s. 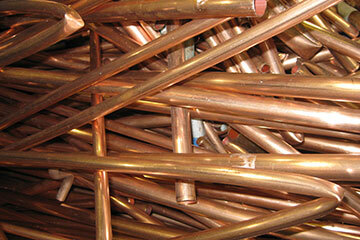 ​Including Copper, Brass, Aluminium, Zinc, Stainless Steel, Lead, VIR, Data and SWA Cables. ​Including Ceramics, Diesel Particulate Filters (DPF), Metals, After Markets, Core/Bricks for valuation, Exotics for valuation. Lead Acid Batteries, wet and dry cell.